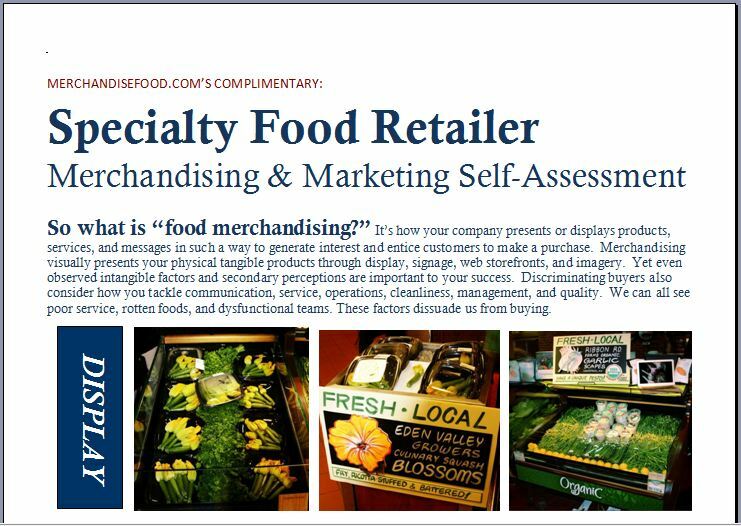 Free PDF Download: Food Retail Merchandising & Marketing Self-Assessment - Merchandise Food! 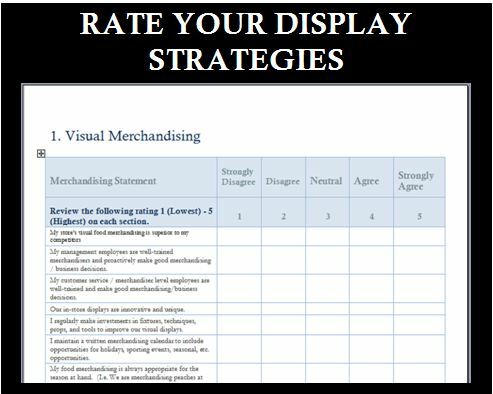 This Merchandising & Marketing Self-Assessment is best suited for those engaged in revamping current marketing and display efforts with an open mind. For many, a simple review of physical displays, or mediocre marketing collateral might prompt concerns. Others, even including very successful retailers, may observe challenges such as declining sales, weakened customer service & sales effectiveness limiting profitability. For many a third party with “fresh eyes” is helpful.